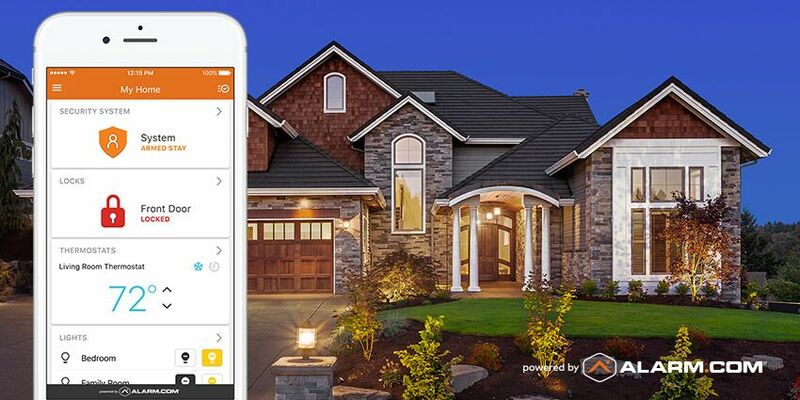 Next time you host friends and family for a summer cookout, enlist some hi-tech help from Alarm.com. Our smarter security technology doesn’t just deter crime: it also makes things easier and more convenient around your house. It’s especially useful when you have your hands full. While it can’t help you flip those burgers to perfection—that’s all you, chef—Alarm.com will help keep the party going smoothly, indoors and out. Here’s what makes it such a good cookout co-host. The scene: It’s half an hour before the party and you’re totally ready for visitors. Just kidding! You’re still arranging chairs, prepping side dishes and trying to get the charcoal grill going. If your guests start arriving now, however, Alarm.com has you covered. Just pick up your smartphone to see who’s there, say hello, and let them in without breaking your stride. Your guests have arrived, the grill smells good and the party is in full swing. For the grownups, it’s time to catch up, share news and reminisce. For the kids, though, it’s time to explore your whole house. 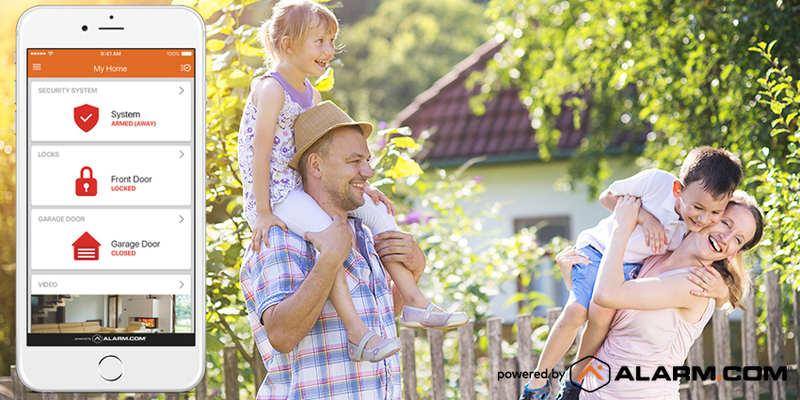 With contact sensors and smartphone alerts, Alarm.com helps you keep tabs on your roaming tribe of youngsters, knowing instantly they get into off-limits areas like the garage. When things go suspiciously quiet, you’ll already be one step ahead. As the sun goes down, your Alarm.com-powered indoor and outdoor lighting activates automatically, keeping your party brightly and beautifully lit up, without you having to lift a finger. Meanwhile, another automated feature—your smart thermostat’s auto-setback function—helps steer the conversation away from energy bills by keeping waste to a minimum. Remember how your little nephew used to love your “coin-behind-the-ear” trick? Well, he’s 12 now. On the other hand, you can now close your garage with your Apple Watch. Hero status: regained. All too soon, it’s the end of the evening. You’ve waved goodbye to the last guests, put the kids to bed and loaded the dishwasher. You’re ready to hit the hay—and yet, the job of securing the house for the night remains. No problem. “Alexa”, you yawn, “ask Alarm.com to Sleep“. This final Alarm.com command of the day is all it takes to lock your doors, arm your security system and dial down the temperature for a cool night’s sleep. Want Alarm.com for your next summer party? Professionally delivered, serviced and monitored, Alarm.com technology is easy to own, keeps your home safe and secure, and makes everyday life easier in remarkable ways. To get connected with a service provider, enter your ZIP code in the box below.